Pierre Bonnard, French (1867-1947). 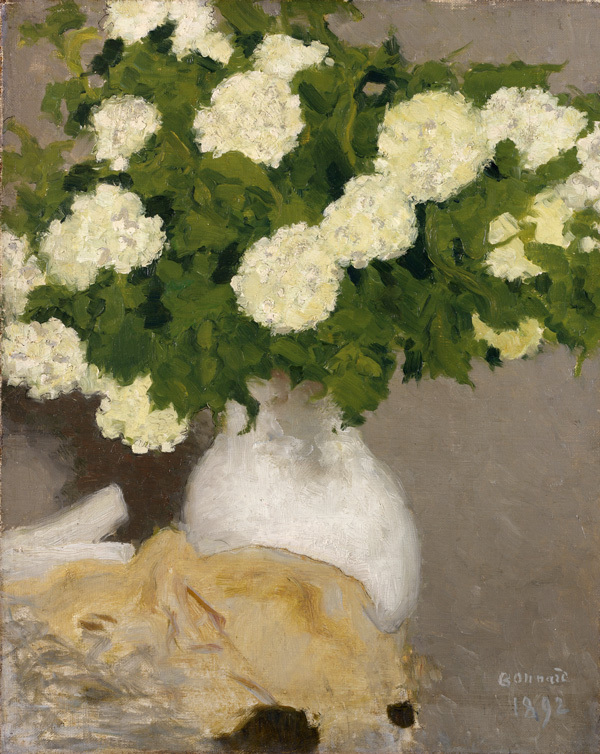 Still Life with Guelder Roses, 1892; reworked 1929. Oil on canvas, 16 1/8 x 13 inches. Gift of Mr. and Mrs. Herman R. Sutherland, 2004.12. 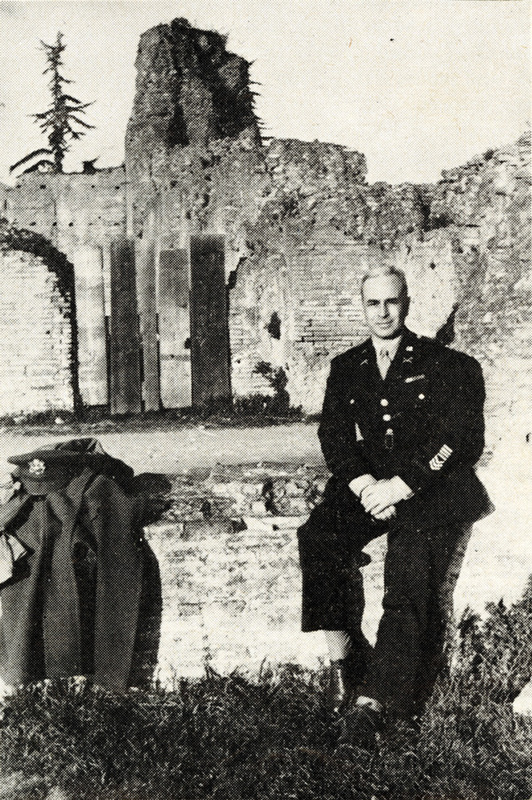 Gardner’s discovery of looted art in Mignano was just one instance of a wide-ranging, comprehensive Nazi campaign to rob Europe of its cultural treasures. The Nazis looted thousands of artworks from across Europe between 1933 and 1945. Most of the looted objects were recovered by the Allies after the war and returned to their owners. Some works, however, were lost and their prewar ownership forgotten. In light of this, The Nelson-Atkins Museum of Art conducts extensive research on the ownership history of its artworks. This research led to the discovery that several objects in the Nelson-Atkins collection were looted by the Nazis during World War II, recovered and returned after the war, and subsequently acquired legally by the museum. The intriguing histories of these works are told in the focus exhibition Discriminating Thieves: Nazi-Looted Art and Restitution. Nazi art looting was pervasive and multifaceted. Adolf Hitler used the theft of art as a weapon in his campaign to destroy the Jewish people and their cultural heritage. Nazi laws robbed Jews of their right to own property, leaving Jewish collectors particularly vulnerable to Nazi art looting. Some objects were taken as spoils of war that enriched the private collections of Nazi officers. The most prized works were earmarked for the Führermuseum, a grand museum Adolf Hitler planned to build in his hometown of Linz, Austria. Much of the art coveted by the Nazis included European Old Masters and works depicting traditional German subjects in naturalistic styles. In contrast, Hitler despised most Modern art and described it as “degenerate.” Modern works were removed from German museums and destroyed, used as propaganda, or given to Nazi art dealers for sale abroad. 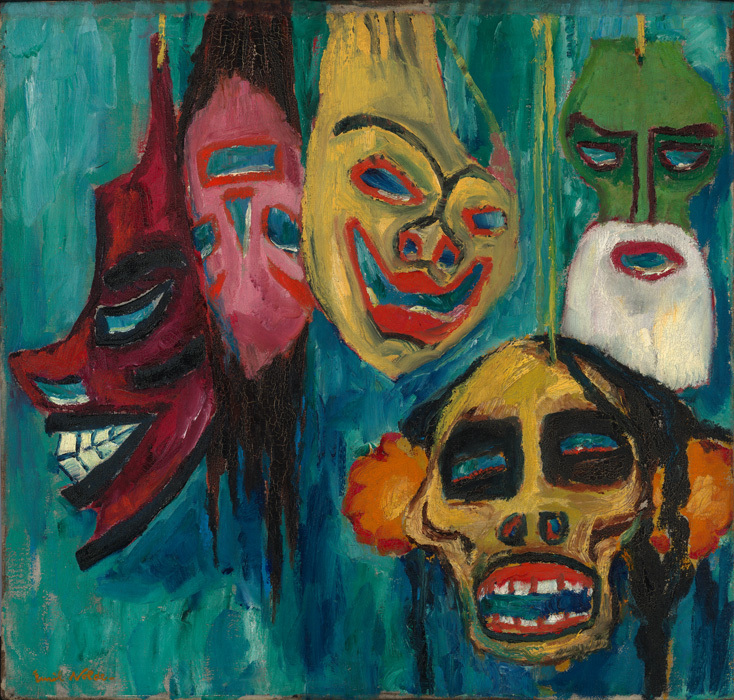 Each of the four artworks on view in Discriminating Thieves: Nazi-Looted Art and Restitution was once in the hands of the Nazis. Visitors can follow the path these objects travelled during the war, and explore the circumstances surrounding their theft, their return to their rightful owners, and their subsequent legal acquisition by the Nelson-Atkins. For more information, including a list of programming related to the exhibition, visit nelson-atkins.org/events/discriminating-thieves.